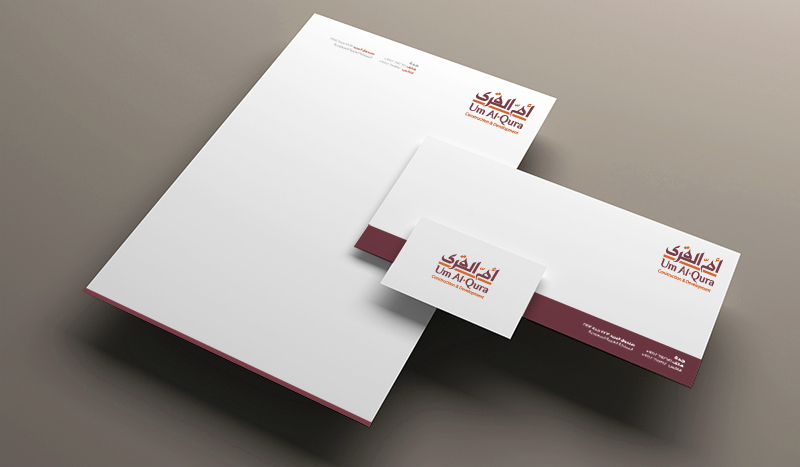 Logo and stationary for the leading Construction and development agency Um Al-Qura, KSA. 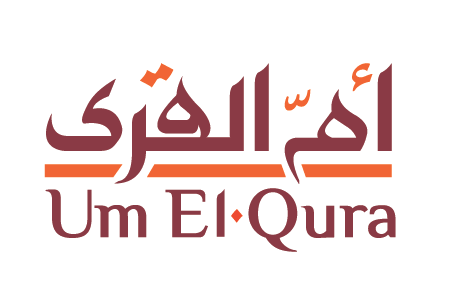 The arabic typography was uniquely illustrated refecting the culture and matching the latin type. The orange and aubergine colors are both to reflect trust and current development.